This famed quote uttered by Audrey Hepburn in the film ‘Sabrina’ may strike inspiration for those looking for their next trip to the old continent. I have been to Paris. Three times in fact. Once when I was a spotty and gangly 12 year old on a school trip chasing my schoolmates up the steps of the Eiffel Tower and the next time as a 15 year old just swinging by the capital of France with a look of disdain as I yawned in the museums. It was only until the last two days of the trip when we went to Disneyland Paris, which is where I discovered a deep love of extreme rollercoasters after riding Space Mountain about ten million times. However, you’d think by my third visit to Paris as a more mature 19 year old I would be appreciative of the joy of the city after I hitch-hiked there from Northern England for charity. Nah, I simply yawned again following my university friend who had a deep love of art history through the galleries before we went to check out the Moulin Rouge and chill along the River Seine. Now, as a thirty two year old, I haven’t been to Paris since. My sights moved elsewhere in the world thinking that Paris is ‘ticked off’ on the bucket list. Oh, how wrong I am. I’m simply missing out on Paris far too much. I realised that the reason I haven’t enjoyed Paris is that I haven’t been shown it properly, revealing the hidden secrets and the Parisian secret enthusiasm that should infect me to believe that this city is the best city in the whole wide world. I am a clueless innocent graduate looking for a Mrs Robinson to show me the way of the world. (In this case, a Mr Dubois in Paris). So, who better than to show me Paris than The Paris Guy? A sister company of The Roman Guy in Rome (more on them later! ), The Paris Guy has been recently launched in Paris providing visitors the unforgettable experiences delivered with the highest standards of customer service and a modern, fun approach to tourism. Their founders, Sean Finelli and Brandon Shaw always wanted people the experience Paris like they could. They succeeded, finding the top local experts to bring The Paris Guy tour guides to life by immersing visitors in the local cultures, delicious detectable foods, fantastic art and bringing the history to life. All this whilst removing them from the huge crowds and long lines that has become synonymous with Paris. Well, that sounds absolutely fantastic to me looking for unexpected delights, I do have to say. I simply adore hearing about a city from its local resident. `With 38,000 priceless works of art, where could you possibly start? I mean, you can’t exactly see them all in one weekend visit and more so, I don’t quite fancy staring at them without any context or explanation, I’d be bored to tears! 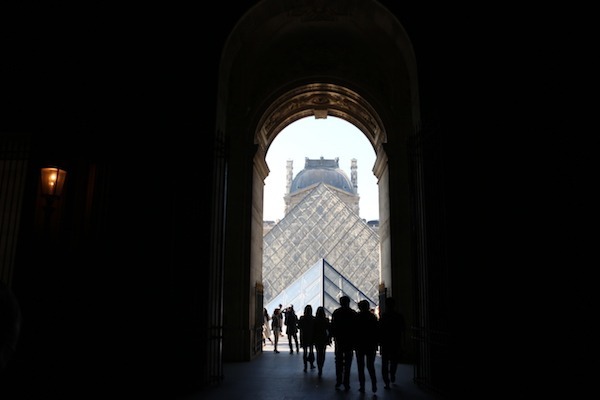 Just started at the end of March this year, The Paris Guy aims to take away all the bewilderment and intimidation to enter this museum of such magnitude and guide you where to go and what to see by a local art-loving guide through the epic galleries and discover the most iconic works of art. Mona Lisa, anyone? I certainly want to challenge her to have the best smile of the ages. Also, there’s an added bonus that you can skip the long, long, (did I say long?) long lines and start your day right without being flustered and no need to worry about buying a ticket for the Louvre, it’s all included. 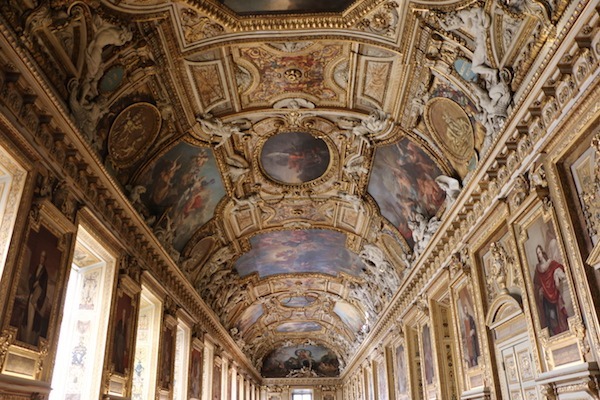 What’s my favourite part about this tour, that also seeing the most fabulous works of art, you’ll be given valuable insight from the The Paris Tour guides, dedicated to bringing you the best welcome at the Louvre, and bringing the stories of their construction and the art collections to life. You’ll be able to picture yourself in the artist’s shoes and find out the reasoning behind every canvas. Perhaps The Paris Guy will turn this adventure junkie into a classical art lover, right? Now, I like to explore the hidden secrets and history of Paris. Move over Eiffel Tower, you’re far too obvious for a place to visit, the Paris Catacombs is where it’s at. With a combination of passionate storytelling bringing the dead back to life (trust me, I have it on good authority there’s actual human bones in there), The Paris Guy expert tour guides with relish with glee telling you gruesome facts and dark folklore in this bone-chilling (see what I did there) three hour tour of this dark place that lies beneath ‘The City of Light’. I know I’ll be hooked. Why? The start of the tour is at the entrance of the Catacombs called ‘Barriere d’Enfer’ which literally means ‘The Gates of Hell.’ Intrigued? 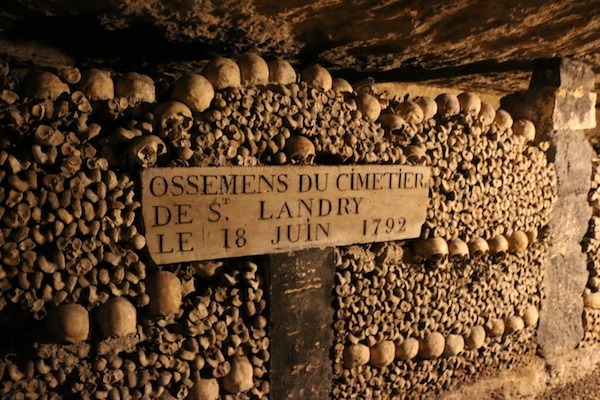 Following a staircase deep under Paris, you’ll find the world’s largest grave, which gives rise to the ongoing problem about the city’s serious issues with finding places to bury the dead. Ypu’ll find there’s six million bodies underneath and actually reinforcing the mines deep below the city. Better not get lost, eh? Ever fancy being an opulent 17th century French King or Queen for the day? I know I do, powdered face and all, and braying to people ‘let them eat cake’. 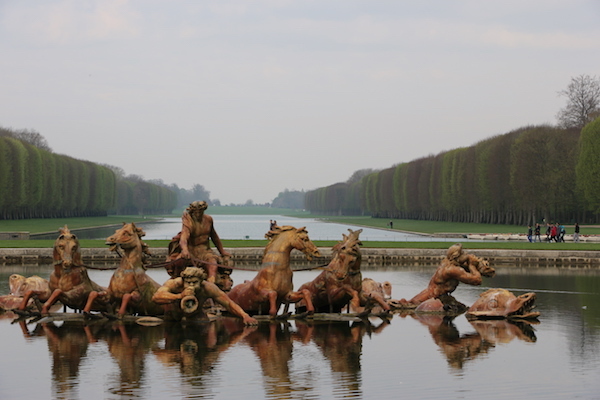 The best place to do this is the Golden Versailles Palace, where its iconic castle and gardens are just outside Paris. And you’re in luck, The Paris Guy offers a half day tour royalty tour that starts from the centre of Paris as their passionate guides won’t risk you getting lost to the Versailles Palace via public transport. With the entrance ticket included, the return ticket back to Paris, you’ll get to experience both the Palace and the gardens included too followed by skipping the long queue lines too! I know I’m excited. 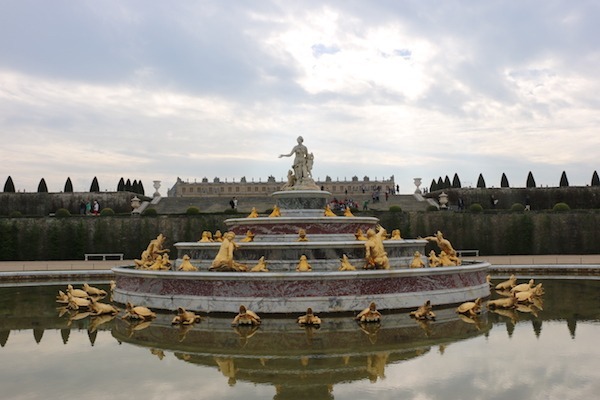 I’ve always wanted to go to Versailles Palace, this UNESCO World Heritage site, and explore it’s extravagant 2000 rooms and 2000 windows and its baroque architecture that served as an inspiration to jealous fellow Kings and Queens across Europe who tried to build their own palaces. But there’s one special room within that would be absolutely perfect for this posing travel blogger. It’s the Hall of Mirrors that’s running almost 70 yards long and adjourned with 357 mirrors. Right, it looks like I’m going to be in this room with my ‘Instagram husband’ to take pictures of me all day I’m sure. But actually, as The Paris Guy’ will tell you, is that this room pays a tribute to the political, economic and artistic successes of France. More so, this Hall of Mirrors was the scene where the Treaty of Versailles was signed on 28th June 1919, ending the First World War. 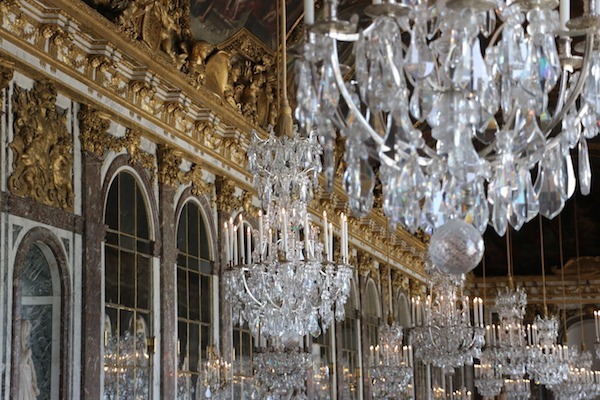 Other than the Hall of Mirrors, you’ll also be able to see the King’s State Apartments and the King’s Private Apartments among other rooms before heading into the magical gardens of Versailles. At over 2000 acres, thousands of trees were brought in from around France to create the gardens by regiments of the French Army! The scale is so humongous that in order to maintain the garden’s completely unique design, the entire garden needs replanting every 100 years. Wow! So, here are three fantastic reasons why you and I should be visiting Paris ASAP! The Paris Guy delivers all them ensuring you have fun, fun, fun with no stress. With them you can avoid the crowds (as The Paris Guy hates crowds) by using their skip the line privileges and start times that help reduce the number of crowds we can face at major attractions. More importantly for me, their tour guides are carefully selected through their special screening process to give us the most entertainment, knowledge and valuable advice from real locals in Paris. So, how about it? Fancy visiting Paris with me?